Ya Mon! 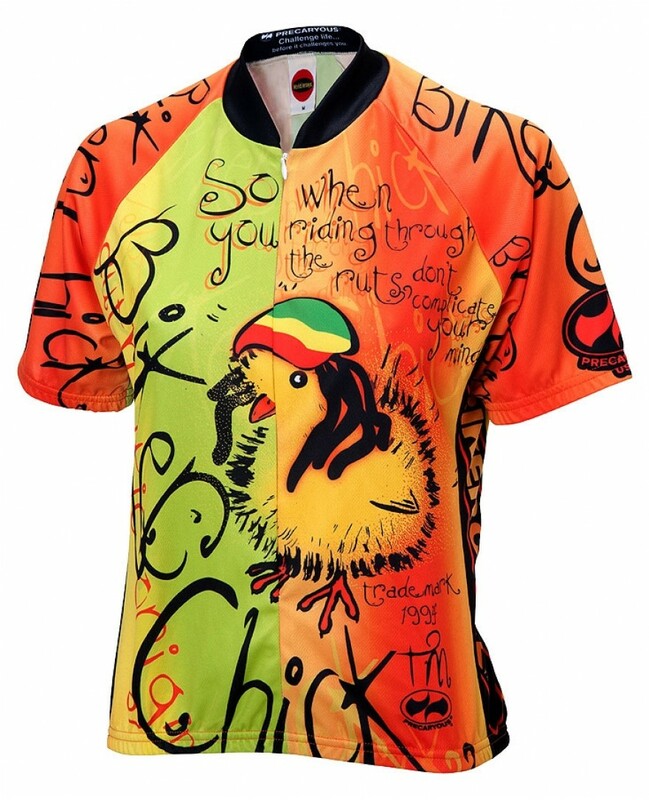 The Precaryous Rasta Chick Womens Cycling Jersey. Brought to you by the folks that produced the hot selling Biker Chick jerseys. This jersey takes the classic biker chick design and mixes it up a little. 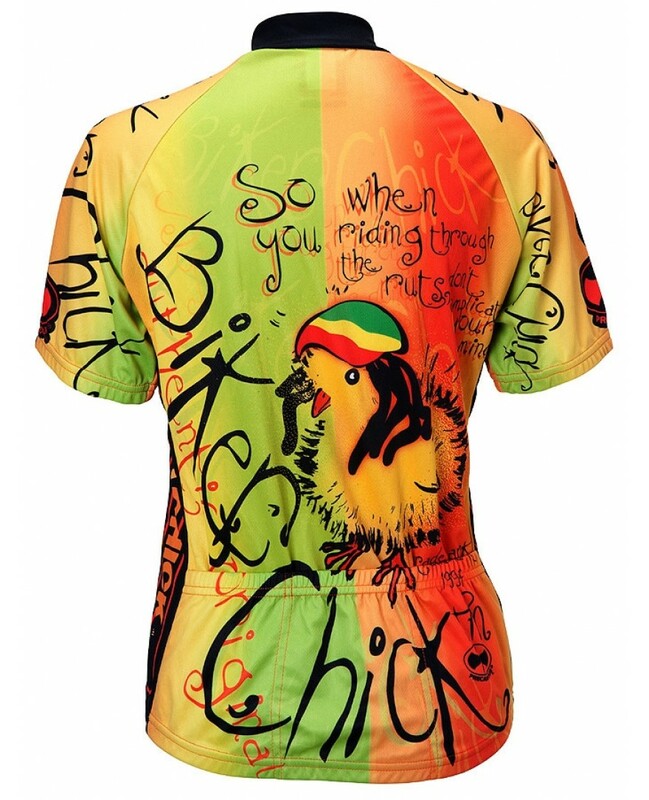 Bringing bright colors that are sure to get you noticed by everyone, even Rastafarian’s!